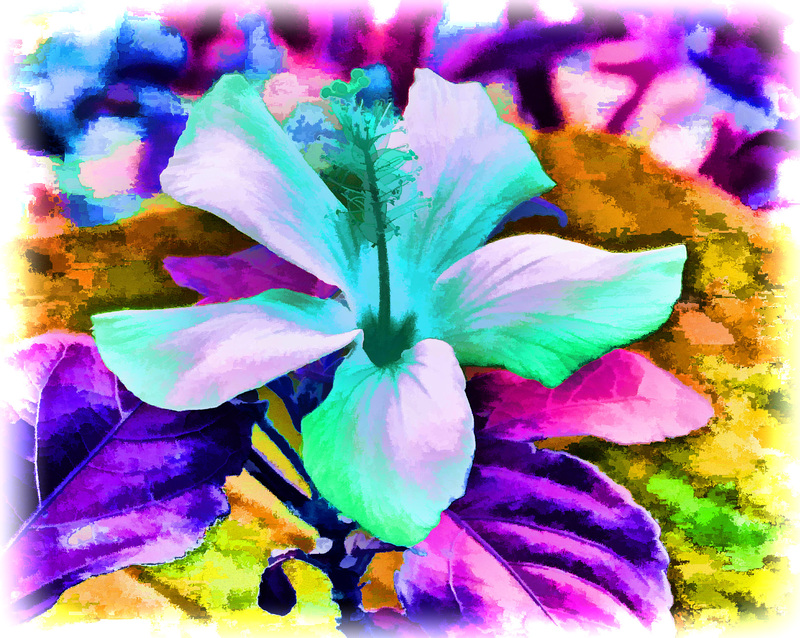 My work as an artist developed in my early ’50s and has gone through various phases until I reached my current passion – digital art. I create digital art from photos I’ve taken of scenery, flowers, rocks, landscape, trees, etc., from my time living in Australia and here in North Cyprus. All my work – base images and final painting – is original. My work is visionary, surreal or abstract. I work with PicMonkey, Photoshop and Corel to create images which arise as I play with the original images from my photography. Nature is my inspiration and bedrock. I have found that my work reflects my commitment to spiritual purpose and activity in life, to work with others in fostering a world of love, community, tolerance, equality and happiness.